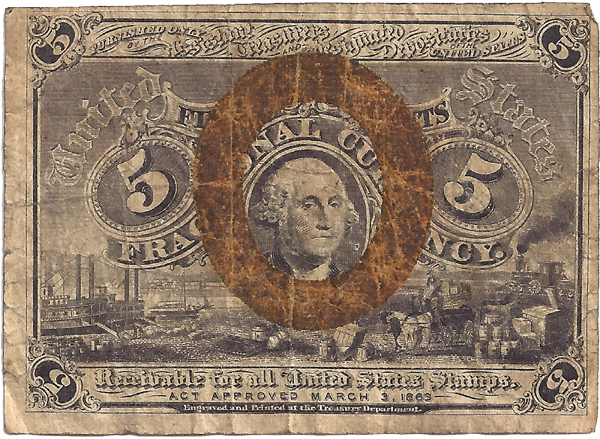 This is a five-cent fractional currency bill, part of Aunt Mary's set of fractional currency. Like I've noted before, what these bills lack in actual face value they more than make it up with the sheer verbiage all over their tiny real estate. This is called a "second issue" bill. 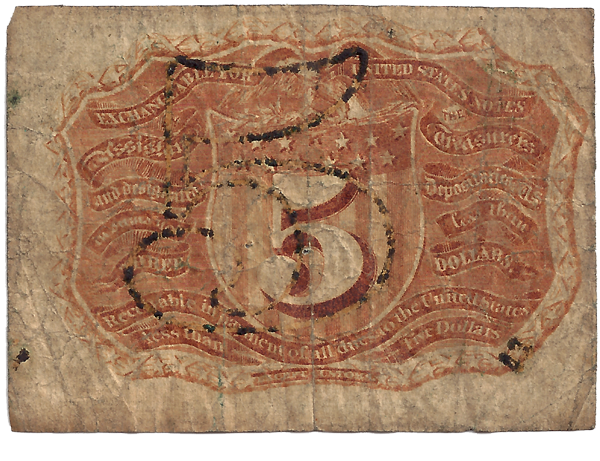 Once again we have George Washington gracing the front, encircled by a gilded oval that gives these notes the nickname the "porthole" series. It is obviously circulated, but appears to be intact. Another cool bill for someone to collect and share with their friends!